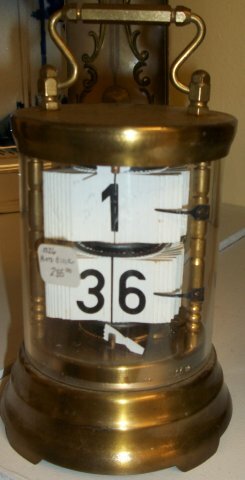 This clock is called a "Plato" clock. The top row is the hour and the bottom are the minutes. Each minute flips by each minute to reach to the next hour where the hour flips to the next hour. This is a balance wheel movement and is wound from the bottom. 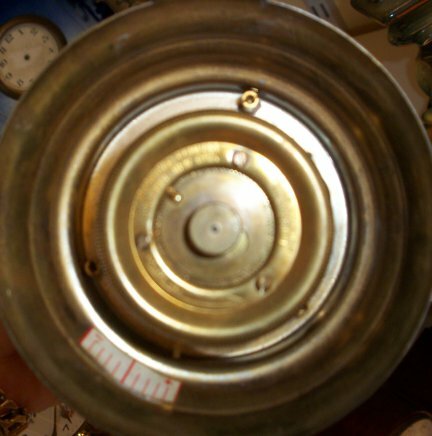 View of the bottom of the clock.